Soul Serenade: Dr. John, "Right Place Wrong Time"
I’m not going to lie to you, I’m exhausted. Last weekend’s Newport Folk Festival was a whirlwind of great music, but the festival also requires a lot of moving around from stage to stage if you’re going to try to experience the whole thing. After three days of non-stop music my ears, and my feet are tired, in a good way. Look for my coverage of the Folk Festival here at Popdose soon. There is no rest for the weary though, as this weekend brings the Newport Jazz Festival to town. It’s the 60th anniversary of the venerable festival, qualifying it as the oldest popular music festival in the world. Back in 1954 there were classical music festivals, but no such thing a rock festival, or a jazz festival. It took the far reaching vision of George Wein to make such a festival a reality. Now there are festivals everywhere you look, and I think we’re all the better for it. As you might expect, the 60th anniversary of the Jazz Festival is going to be a very special one in terms of the musical talent that has been lined up for the three day weekend. Many of the leading names in jazz will be on hand, including Wynton Marsalis with his Jazz at Lincoln Center Orchestra, Trombone Shorty & Orleans Avenue, David Sanborn and Joey DeFrancesco, Gregory Porter (a personal favorite of mine), Gary Burton, Dee Dee Bridgewater, the Mingus Big Band, Dave Holland, and many more. Even George Wein, nearly 89 years-old now, will be getting into the act with his Newport All-Stars. 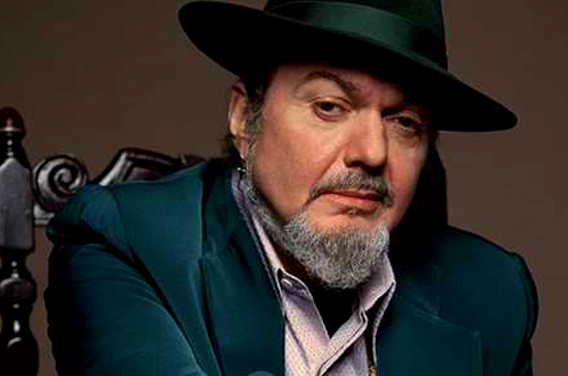 One artist that I’m looking forward to seeing, as I always do, is Dr. John. The Dr. brings the funk every time, and you can never have less than a great time at one of his shows. Malcolm John “Mac” Rebennack, Jr. first came to the public’s attention back in the ’60s when he was known as Dr. John the Night Tripper. I can vividly remember his appearance in this guise at the 1969 Atlantic City Pop Festival, which happened two weeks before Woodstock and as a result has been largely forgotten despite featuring a lot of the same acts that played at the more famous festival. The Night Tripper show was all dim lights and smoky ambience that featured elements of Mardi Gras, voodoo ceremonies, and medicine shows. All that atmosphere was really only a backdrop though for the genuinely spooky sound of songs like “Walk On Gilded Splinters,” which sounded like nothing so much as 3 a.m. on a dark and desolate Louisiana bayou. What would you expect from a guy who borrowed the Dr. John moniker from an infamous 19th century Louisiana voodoo practitioner? By the early ’70s the Night Tripper thing had faded out and Rebennack was simply Dr. John. His 1972 album Dr. John’s Gumbo featured several New Orleans standards, and is considered a classic in the Crescent City’s magnificent musical history. For Dr. John the album served as a tribute to the music he had grown up with, but one with his own personal stamp on it. At the same time it marked the true end of the Night Tripper. As important as Gumbo was, it was Dr. John’s next album that got the world on its feet and dancing. In 1973 he went into the studio with Allen Toussaint producing, and the Meters as his backing band. How could he miss, right? He didn’t. Together they produced an album called In the Right Place, which did nothing less than define the New Orleans funk sound, and made Dr. John the face of that sound around the world. “The album had more of a straight-ahead dance feel than ones I had done in the past, although it was still anchored solid in R&B,” Rebennack said. The first single from the album was “Right Place Wrong Time.” With its sizzling guitar solo by the sadly unheralded David Spinozza, the record rose to #9 on the Billboard Hot 100 singles chart. “Right Place Wrong Time” was hardly the only great single from In the Right Place though. The follow up with a little something called “Such a Night,” and although it didn’t quite achieve the same chart success as “Right Place Wrong Time,” it has become revered as a Dr. John favorite among his many fans. In the 40 years that followed In the Right Place there have been numerous albums and notable appearances for Dr. John. In fact, it seems as if he has never been out of the spotlight, whether it was his scintillating appearance in Martin Scorcese’s film The Last Waltz, his touring with Ringo Starr & His All-Starr Band, or his countless credits as a session player for the likes of Carly Simon, Neil Diamond, Van Morrison, Rickie Lee Jones, or Willie DeVille, Dr. John has remained in the public eye during a career that is now in its seventh decade. It won’t be easy to cover such an extensive catalog in one set, but one thing is guaranteed: when Dr. John plays, everyone goes home happy. So if you’re in the Newport area, come down to Fort Adams this weekend to see Dr. John and all of the other prodigious talent that has been assembled for this very special anniversary of the Newport Jazz Festival. If you’re not in the Newport area, check the train and plane schedules, or get in your car and drive here. There’s no better way to spend a summer weekend.